Today we have many fun activities for all to enjoy. We would like to thank all our parent volunteers for their assistance in decorating our gym. It looked marvelous and our students and staff enjoyed dancing the morning with the amazing DJs who had our students dancing up a storm! Thank you to our CSC who helped fund the DJ. Thank you also to those families who sent in a toonie to help fund this event. Classes also enjoyed decorating pumpkins. The judges had a difficult time choosing as they were all very imaginative! Congratulations to Mrs. Hodara’s class and Mrs. McCrindle’s class for their hard work on these! 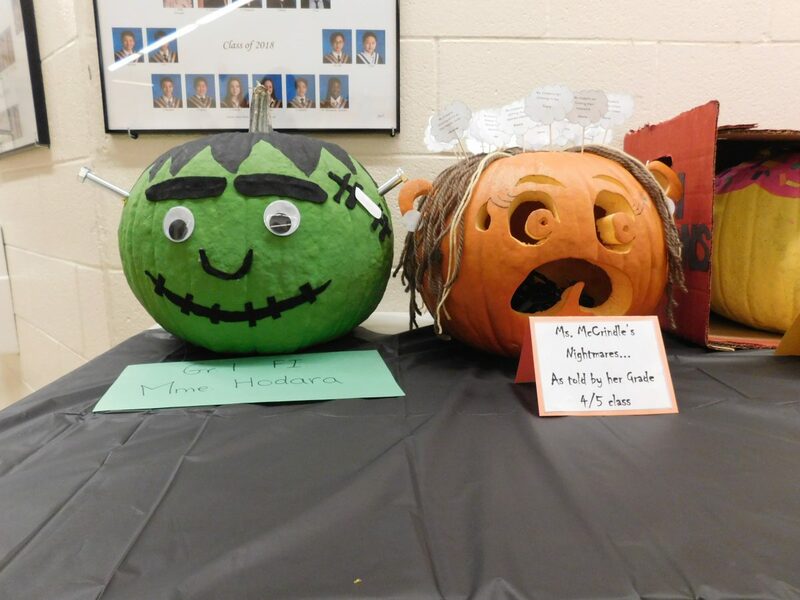 Honourable mention goes to Mrs. Burdi’s class and Mr. Yu’s class.